Bluemountain Texas is bringing another show-stoppe - Bluemountain Texas is bringing another show-stopper to Alvarado. This 4.2.2 on a corner lot has been fully remodeled inside and out. Granite counter-tops, fully updated bathrooms and new flooring throughout. Large island kitchen with all new cabinets and stainless steel appliances. Open concept floorplan with kitchen, dining and living areas combined. Living area is accented with a wood burning fireplace. This house is an entertainer's paradise for an affordable price. 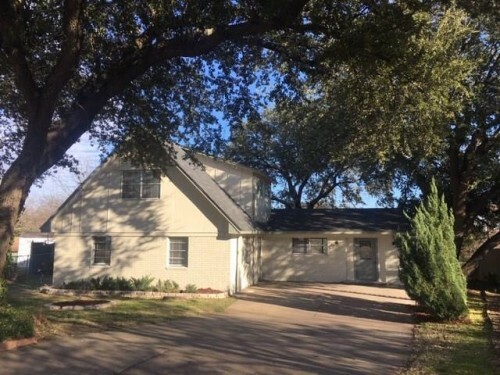 This Bluemountain Texas remodeled home has everyth - This Bluemountain Texas remodeled home has everything your buyers are looking for! Large open concept kitchen, dining, living room with space to add an island in the kitchen if you choose. Kitchen has all new SS appliances, new cabinets and granite counter tops. Large bedrooms with abundance of windows and new carpet. Large fenced backyard with storage shed and mature trees. Perfect front porch with oversized carport. Very convenient location! Walking distance to First Monday, Antebellum Ale House and just minutes from the square! 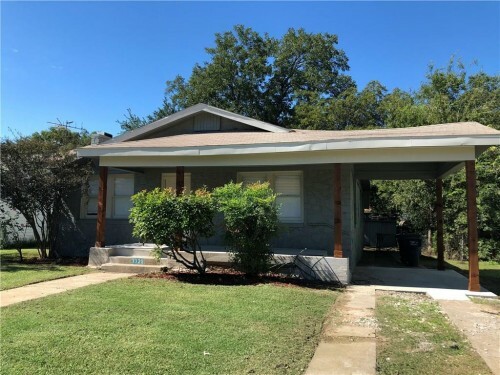 Fully renovated iconic home in the up and coming d - Fully renovated iconic home in the up and coming downtown district of Mineral Wells! The classic look with modern updates will impress every buyers wants! Large granite island kitchen with brand new cabinets and stainless steel appliances. Large living room with decorative fireplace leading to the arched glass doors in dining room. Master bedroom with original refinished wood floors and GIANT master closet sure to please! This home has all new HVAC, new electrical wiring, all new plumbing, all new foundation and built to last! Unfinished garage apartment could be turned into an additional game room, guest suite or rental income! 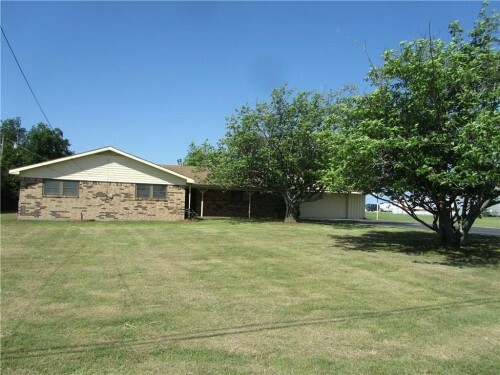 RES-Single Family - Cleburne, TX - Bluemountain Texas remodeled home on almost one acre. This home has been fully updated inside and out. Large open living room with vinyl plank floors leads to a huge covered patio on the back of the home. Kitchen has new stainless steel appliances and walled with cabinets. Plenty of room to add an island if you wanted to. The front porch overlooks your huge grass front yard with oak trees, pine trees and crepe myrtles. The smaller home next door on 2 acres with a barn can also be purchased. 2537 S. Hwy 171. 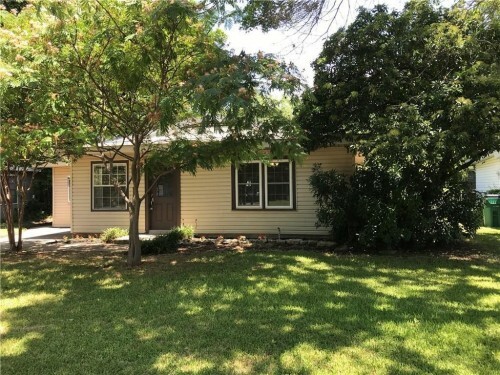 This Bluemountain Texas 4 bedroom 2 bathroom home - This Bluemountain Texas 4 bedroom 2 bathroom home is conveniently located between I20, I30, and Loop 820. The property sits at the back of a cul-de-sac in a quite neighborhood outlined with nice mature trees. There is plenty of space for entertaining in this open concept floor plan. 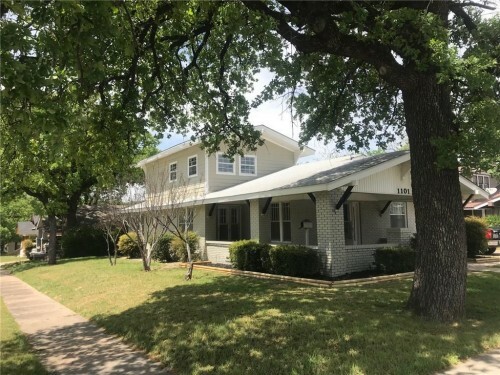 Updates include wood look laminate flooring in the living areas, new carpet in all the bedrooms, ceramic tile in both renovated bathrooms, the kitchen comes equipped with new stainless steel appliances, granite countertops, new white cabinets and decorative backsplash. The back yard is spacious with a big tree for shade and a small storage shed. Country living with modern updates. This 4 bedroo - Country living with modern updates. 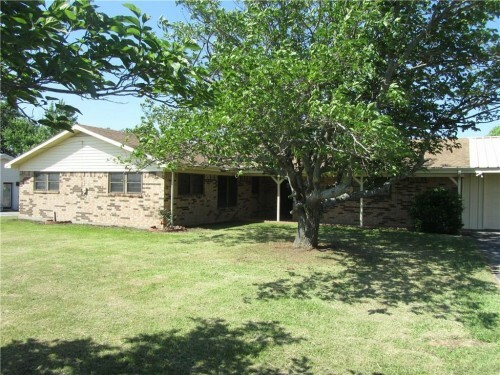 This 4 bedroom 2 bath home sits on a half acre lot and has it all. Open floorplan kitchen with granite countertops, all new stainless steel appliances and breakfast bar. One side of the kitchen opens to the living room with new vinyl wood plank flooring and the other side opens to the dining room. Second living area could be used as an office or game room. Master bathroom has all new vanity and new ceramic tiled shower. Steel construction attached garage is perfect for any project. 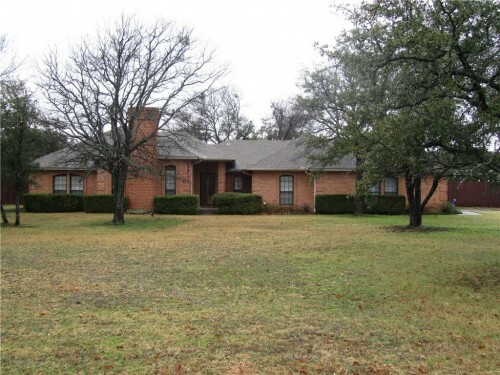 Large back yard for kids, entertaining or dogs and the front yard overlooks spanning ranchland. This Bluemountain Texas home has been fully restor - This Bluemountain Texas home has been fully restored and updated with a modern touch. Some of the updates include new windows, refinished original hardwood floors, ceramic tile in bathrooms and kitchen, new vanities, white cabinets, decorative backsplash, granite countertops, stainless steel appliances and new HVAC. 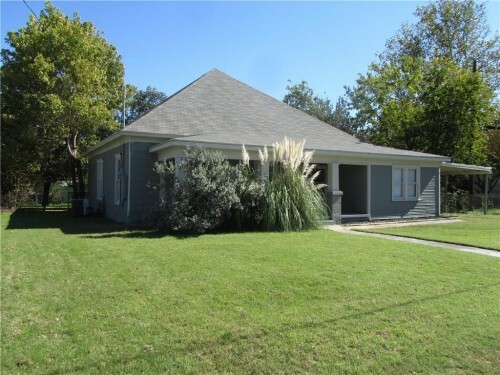 This house has quick access to dining, shopping and schools in the heart of Weatherford. 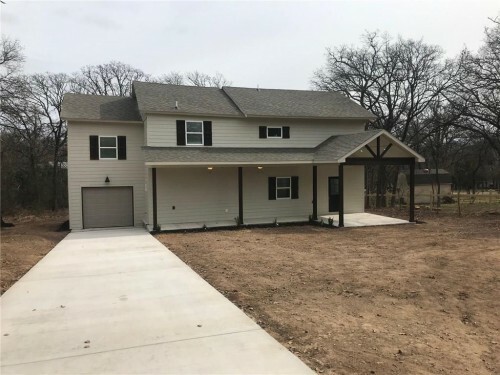 Bluemountain Texas fully renovated home! 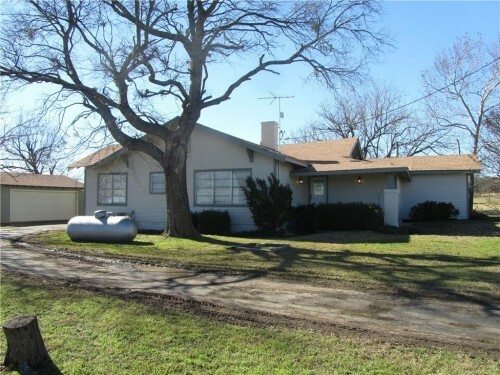 This prop - Bluemountain Texas fully renovated home! This property will please any buyer. Two large living areas with durable vinyl plank laminate floors and tall ceilings in second living. Large master with dual closets, new carpet and paint. Kitchen has all new cabinets, granite countertops and all new stainless steel appliances. 23x32 oversized garage with two extra workrooms. Additional structure in back that could be converted to extra living or workshop. Sits on .45 acres with two lots that could be purchased to make the total lot .88acres. 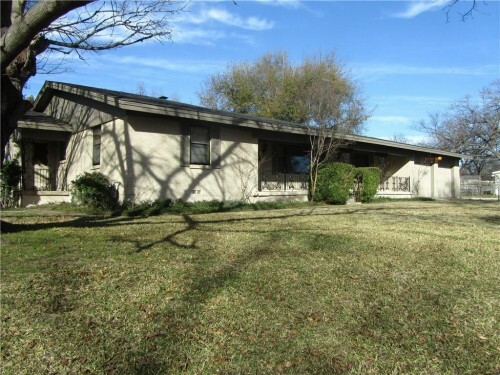 Bluemountain Texas does it again with this fully u - Bluemountain Texas does it again with this fully updated home in the booming Westworth Village. New flooring, paint, stainless steel kitchen appliances, and granite countertops. 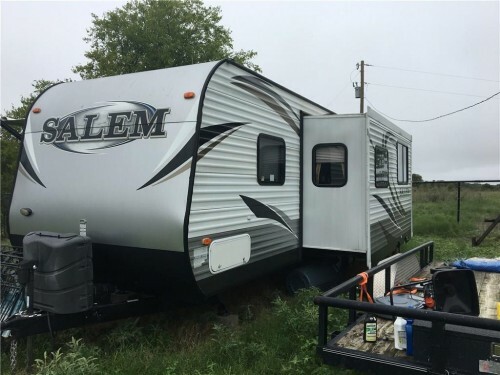 This gem allows you quick access to all the area has to offer. A short drive to the all new Heim BBQ-Lettuce Cook-Salsa Limon located in the up and coming River District. Downtown-W 7th-Magnolia areas all easily accessible. Not enough great things to say about the location of this property. Bluemountain Texas put the finishing touches on th - Bluemountain Texas put the finishing touches on this property to bring it back to life! Vinyl plank laminate flooring in living room, dining room, kitchen and hallways. New carpet in bedrooms. New kitchen cabinets with some small original built in cabinets adding classic character. Granite countertops and all new stainless steel appliances. Upstairs is a great office space or playroom that features wood plank walls! Located seconds from the square and schools. Back yard has nice covered deck and two storage units that would easily convert to children playhouses. Bluemountain Texas does it again. Amazing rehabbed - Bluemountain Texas does it again. Amazing rehabbed property that includes new granite counter-tops, new cabinets and all new stainless steel appliances. New flooring and paint throughout the home. Kitchen overlooks the dining area. Large open living area with a fireplace. Good sized front porch and fenced back yard. 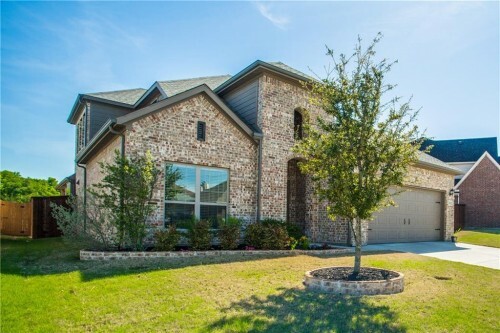 Minutes from TCU, downtown and just off the I35 corridor. This would make a great LOCATION LOCATION LOCATION. 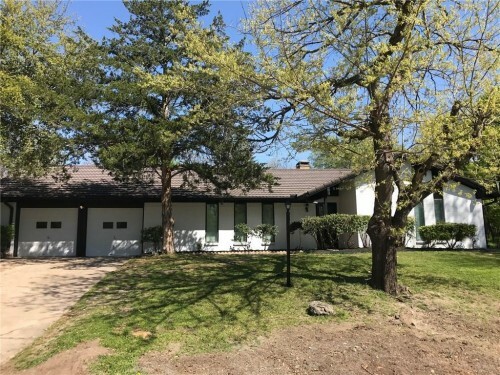 Bluemountain Texas offers this updated property ri - Bluemountain Texas offers this updated property right in the heart of Benbrook. 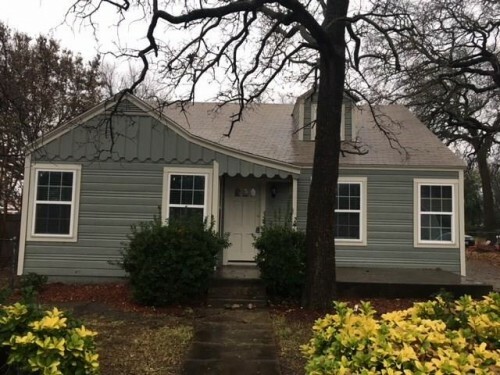 Granite counter tops, laminate flooring throughout, HUGE YARD, covered back porch, workshop with electric, massive trees, and all the conveniences of grocery shopping and places to eat right around the corner. 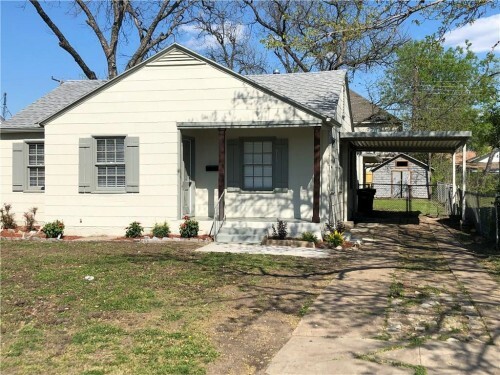 Bluemountain Texas LLC brings you this renovated p - Bluemountain Texas LLC brings you this renovated property located conveniently in the heart of Ft. Worth. Granite counter tops, laminate flooring throughout and completely new master bathroom. 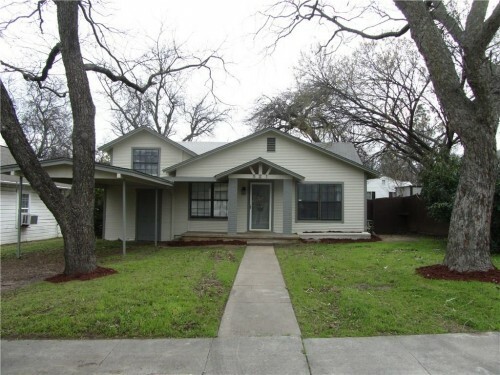 This property is a few minutes walk to TCU, a short drive to magnolia, the revamped southside, downtown, or W 7th. Perfect for a student, investor, family or someone that just loves to be in the best city in Texas. This is one impressive renovation by Bluemountain - This is one impressive renovation by Bluemountain Texas! This 4 bedroom 2.5 bath home has striking updates throughout! The large open living room leads in to the all new island kitchen with very nice granite, all new painted shaker cabinets, new stainless steel appliances. Accent lighting on top of the cabinets is a great touch in evenings. All bathrooms have new vanities and granite counter tops. Master bedroom features walk in closet and separate shower with jetted tub. Large covered porches in front and back while sitting on half of an acre. 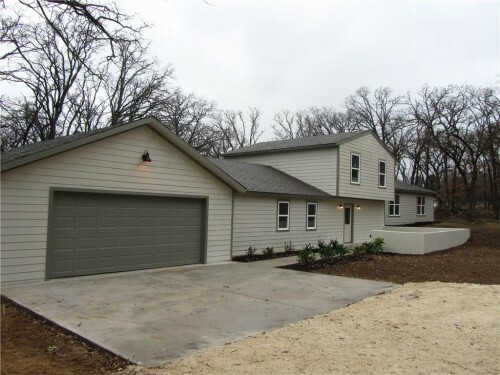 This Bluemountain Texas home feels like new constr - This Bluemountain Texas home feels like new construction! 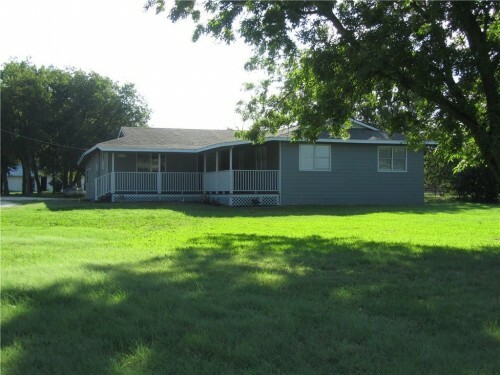 Sits on just over 2 acres of heavily treed land just minutes from IH35. Split level home offers plenty of privacy with the master down and all secondary bedrooms upstairs. The all new kitchen with granite counters, new cabinets, new SS appliances overlooks the sprawling living room and dining area. Breakfast bar with pendant lighting and sink window overlooking the back yard. Living room has vaulted ceiling and recessed lighting. Nothing overlooked in this remodel, don't miss this opportunity! 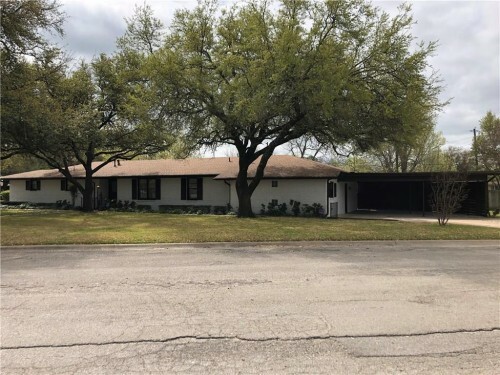 Bluemountain Texas brings this top to bottom remod - Bluemountain Texas brings this top to bottom remodel of this 1951 gem to you on an oversized corner lot. 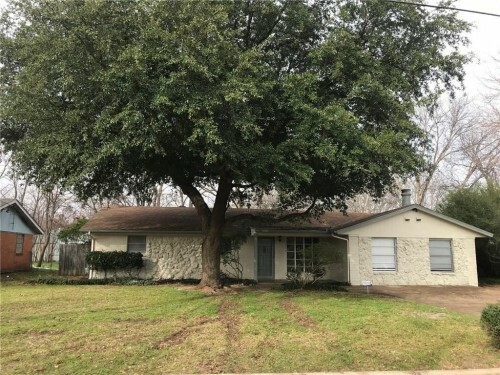 This property has been completely updated with laminate flooring, granite countertops, 2 large living areas, and a brand new kitchen. New cabinets, new stainless steel appliances and granite countertops. Great workspace in island kitchen that overlooks large living area. New vanities in bathrooms with granite. Huge second living area with half bath would make a great mancave or workspace in your home. 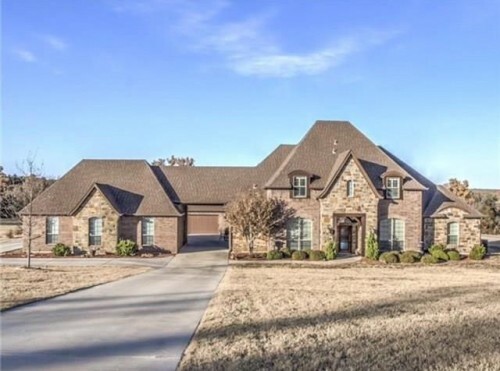 This custom built Graham Hart home has it all! Lar - This custom built Graham Hart home has it all! Large granite island with sink and plenty of room to gather. White cabinets with light grey accented granite, large walk in pantry. Kitchen overlooks the dining and living area that is wired with custom sound system and accent lighting.Beautiful entry with wide footed staircase, ceramic wood look tile floors flow from the front door to the downstairs living room. Large master bedroom with separate shower, garden tub and walk in closets. Bonus room upstairs, wired with surround sound, two bedrooms and Jack and Jill bathroom. All bedrooms with walk in closets. Additional study, guest bedroom with and full bath. Large backyard overlooks a green belt with gate access. 1 acre Aledo ISD with a shop!! - A very pretty home that has been well maintained. The Man Cave in the back yard is a 40 x 30 insulated metal shop wired for 120. It also has a 16 x 10 storage shed. The large water fountain in the back yard stays with prop. All kitchen appliances and the flat screen TV above the fireplace in living area and the electric logs in the fireplace convey to the Buyers. A very pretty home that has been well maintained. - A very pretty home that has been well maintained. The Man Cave in the back yard is a 40 x 30 insulated metal shop wired for 120. It also has a 16 x 10 storage shed. The large water fountain in the back yard stays with prop. All kitchen appliances and the flat screen TV above the fireplace in living area and the electric logs in the fireplace convey to the Buyers. 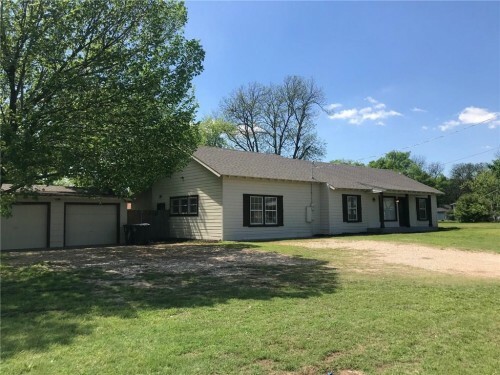 Bluemountain Texas is especially proud to bring yo - Bluemountain Texas is especially proud to bring you our newest listing. Ready to get away from the hustle and bustle? Look no further! Welcome to quiet country living at it's finest with this farm house on 5 sprawling acres in Rio Vista.This open floor plan features an all new granite island kitchen.New cabinets, new stainless steel appliances and a window above the sink!The huge dining room flows into the living room that is finished off with a wood burning fireplace.Master bedroom has plenty of closet and storage space with a fully updated bathroom. Good sized secondary bedrooms with a split floorplan.On top of all that, 5 fully fenced acres, a 2 car detached garage and 2 carports!Not a neighbor in sight! 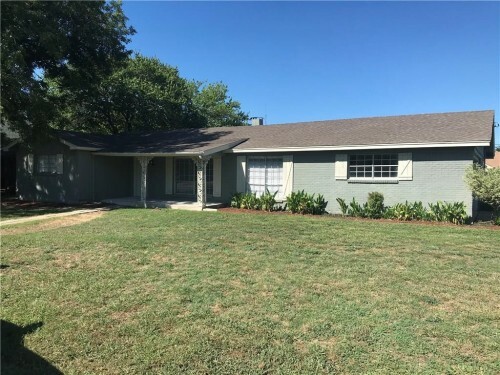 Bluemountain Teaxs LLC brings you this newly remod - Bluemountain Teaxs LLC brings you this newly remodeled home in Benbrook. Laminate flooring, granite countertops, and the best location in the neighborhood allow you to enjoy this home in peace and quiet. The roof is a 50 year Decra style stone coated steel that was recently installed which most insurance carriers will use as a way to discount your premium. CUSTOM COUNTRY HOME ON 2.5 ACRES IN GATED EQUESTRI - CUSTOM COUNTRY HOME ON 2.5 ACRES IN GATED EQUESTRIEAN COMMUNITY! Scraped hardwoods in Study, wrought iron spindles, recessed lighting, beautiful ceramic tile in entry, hallways & all wet areas! Great room boasts stone fireplace & built-ins! Gourmet chef's kitchen featuring granite, 42-inch custom cabinets (lots of storage), island & butlers pantry! Private 2nd bedroom downstairs! Grand Master Suite with sitting area & luxurious bath! Gameroom with balcony! Media Room! Great view! Beautiful community! Excellent schools! 2 closets in Master! VERY quiet neighborhood and family friendly.